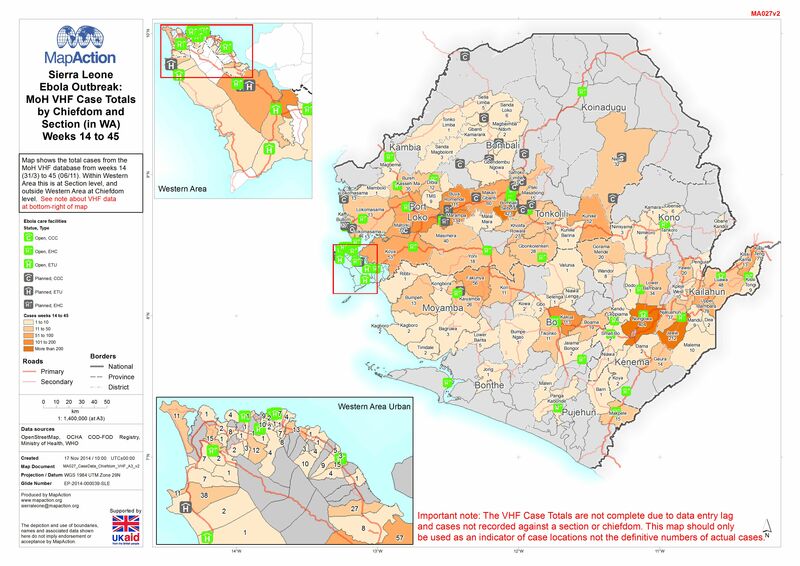 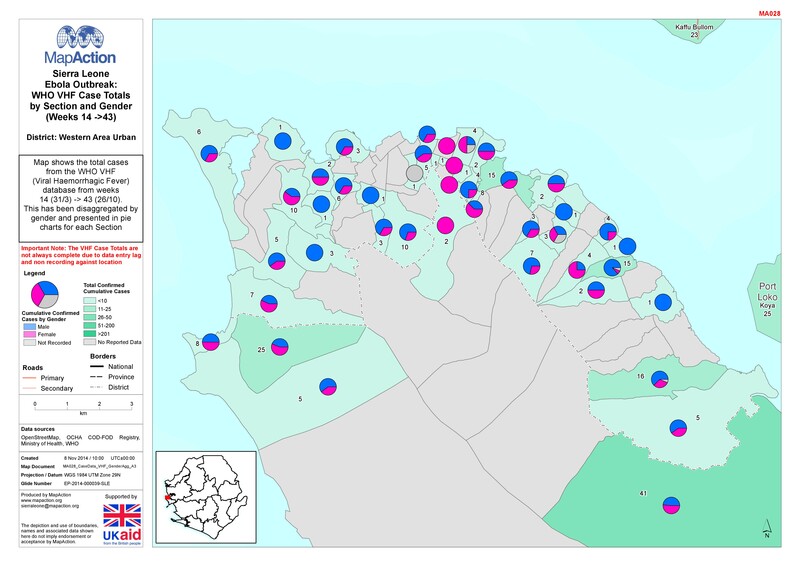 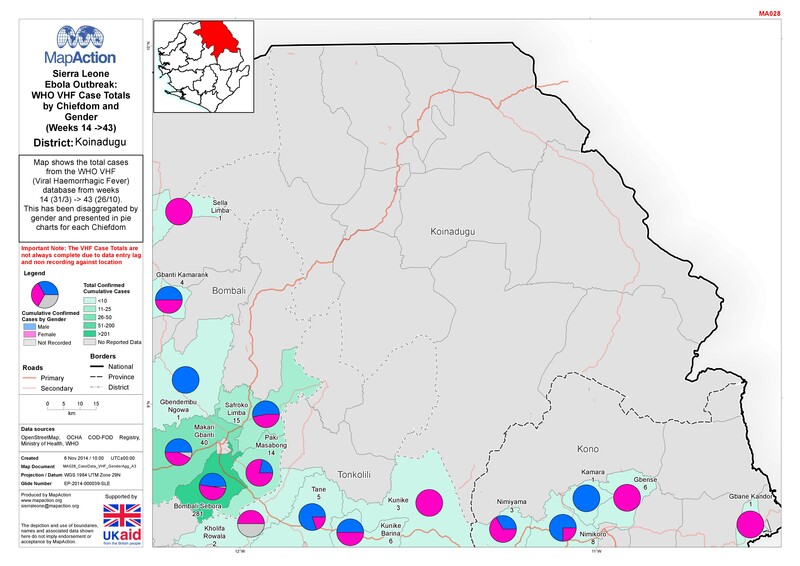 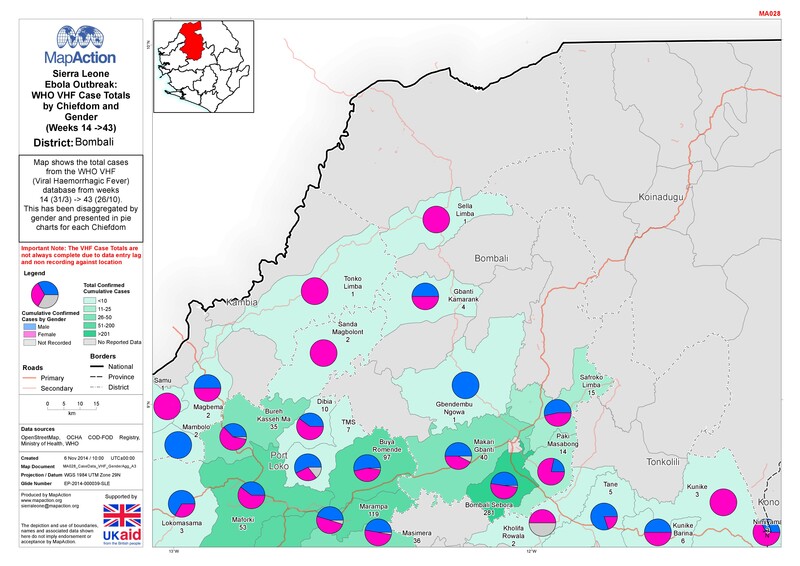 Map shows the total cases from the MoH VHF database from weeks 14 (31/3) to 45 (06/11). 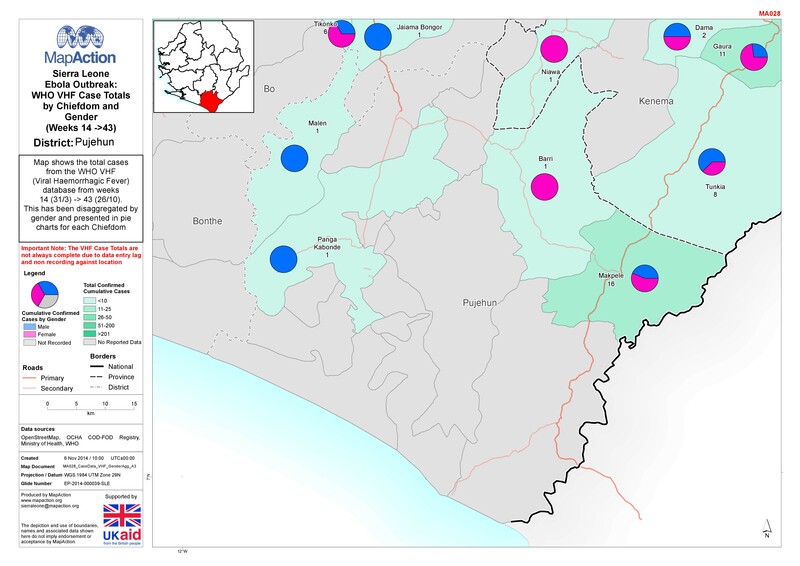 Within Western Area this is at Section level, and outside Western Area at Chiefdom level. 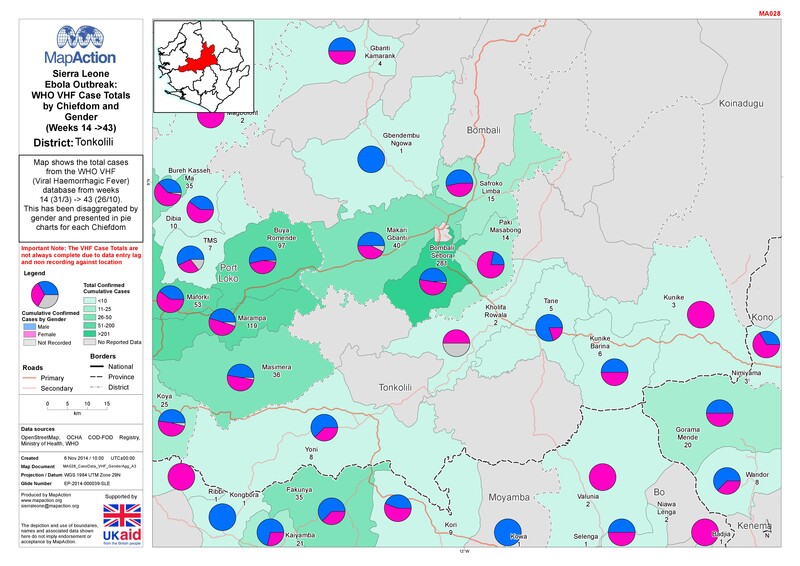 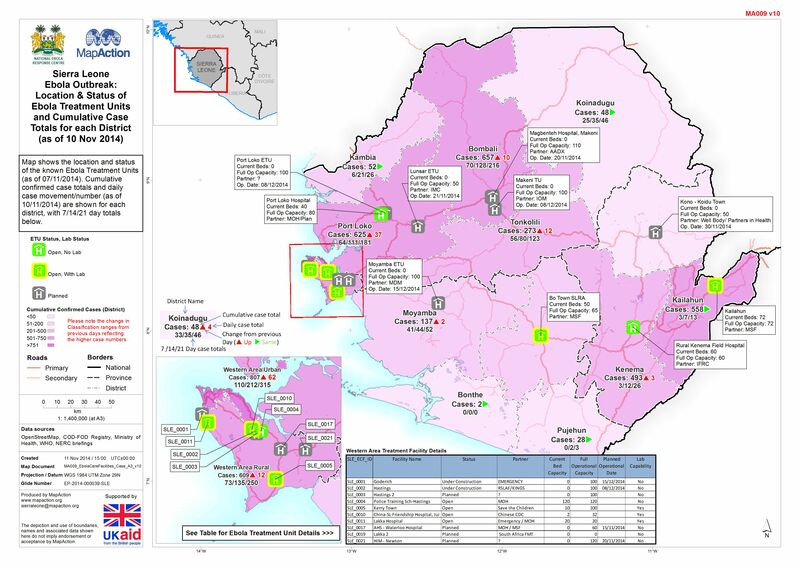 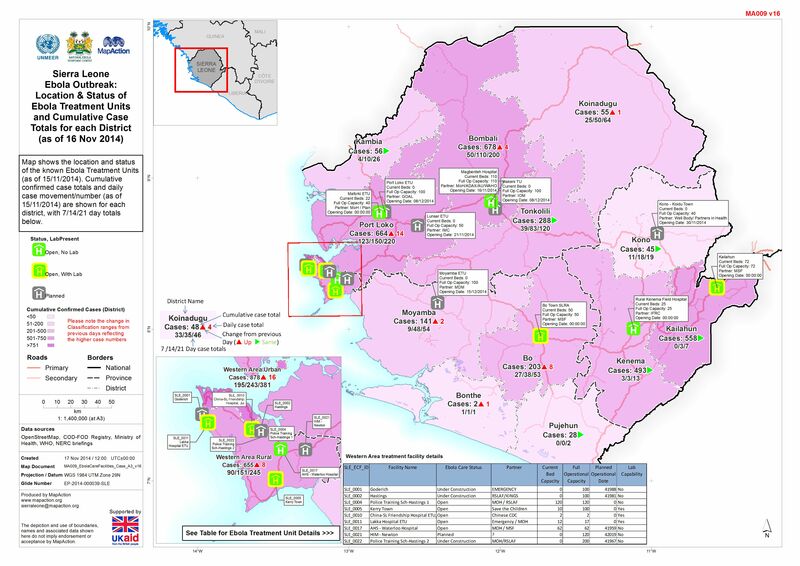 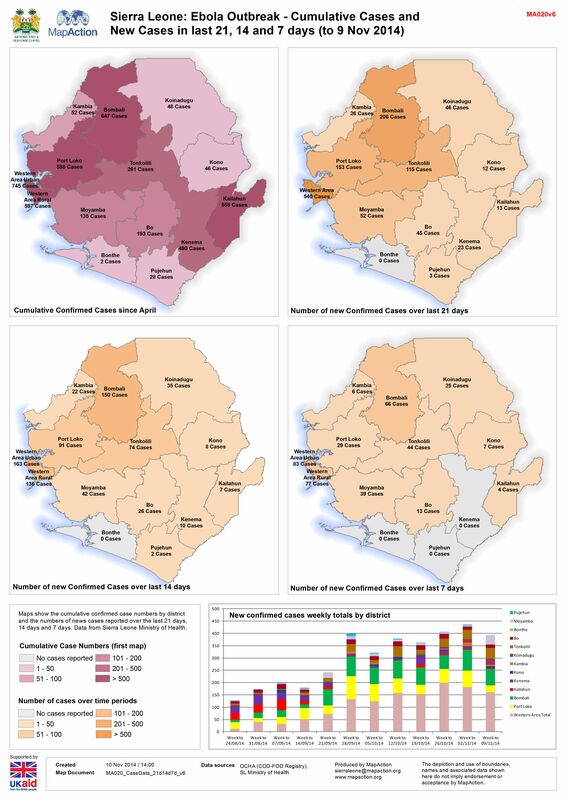 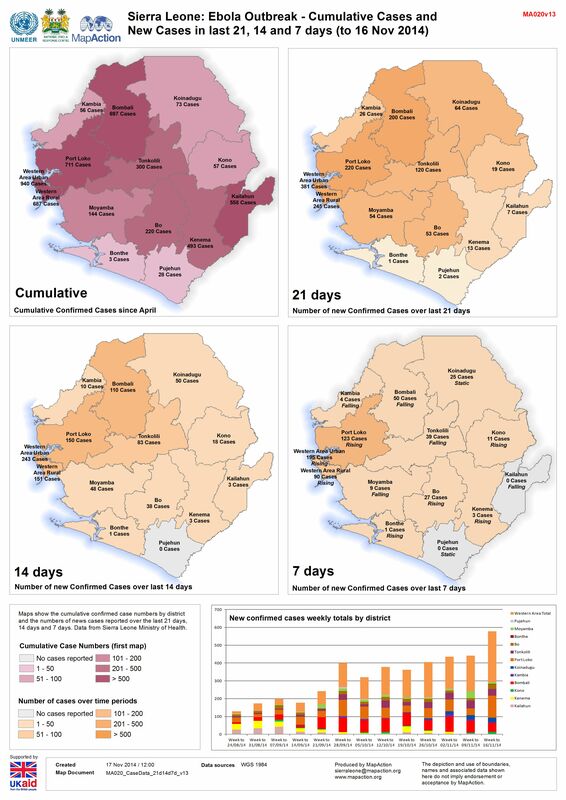 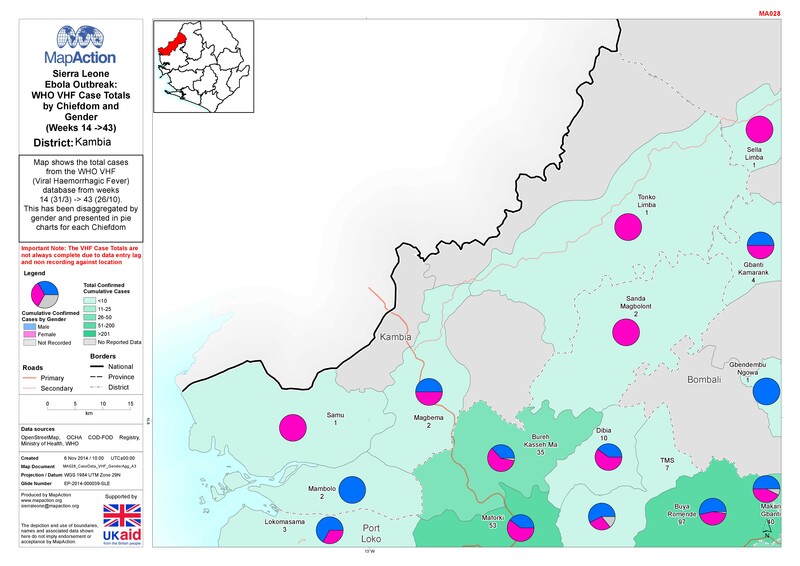 Follow link for Time series showing Cumulative Ebola Virus Disease cases in Sierra Leone (11 May to 12 November 2014) video. Note that the data is weekly until 13/08/2014.